LIMITED TIME OFFER AT £45 PLEASE CALL TO SEE IF SLOTS STILL AVAILABLE! This is a treatment which uses different Gels and Formula's to lift or mold the eyelashes to appear more fuller and longer. The treatment takes around 45 minutes and is absolutely pain free. And these last around 6 weeks. No need for mascara or eyelash extensions or crimping. Wake up to bold lashes every day. The most important step is to ensure you have had a patch test carried out. This is where a few drops of the solutions are placed on your skin for at least 48 hours in order to ascertain any allergies or reactions. The eyelids and lashes are cleansed of any makeup, oils or residues and the lashes cleaned with a protein remover solution. Then the lower lid lashes are covered to prevent any perming of these. There are three different sizes of shields. 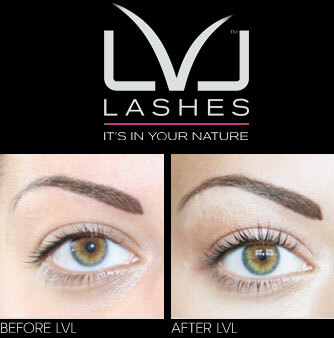 Larger size is more suitable for long natural lashes which need just a slight lift. Medium size is suited for most clients, this gives and intense lift without being curled, suitable for medium to long lashes. Small size is suited for smaller natural lashes or those who want to create a very permed look. The lashes are then gently tacked back onto the shield upwards using the bonding gel. The straighter the lashes the better the final outcome as they bonding agents will leave the lashes in the exact position that the hairs have adhered in. A balm is then applied to the lashes. This breaks down the disulphide bonds and breaks up the shape and structure of the lashes. This will then be rebuilt in the second stage. This is left on for 10-14 minutes. This lotion will now repair those bonds we have broken in order to fuse using the sheild curl as a guideline. Hence leaving you with the curl you are after. This left on for a further 10 minutes. This is where the lashes are given a boost of colour. There are various shades of tint to choose from ranging from blue-black, black, dark brown, brown and so on. This is mixed and applied to the lashes for a few minutes and thoroughly cleansed. This solution will help re nourish the lashes and remove any residues of dye or lotions. Using a clean mascara wand just flutter the lashes to dry out. And you have your LVL Lashes complete. And as far as After Care goes just avoid any water or steam to the lashes for the first 24 hours. Just flutter away as if normal. And the best bit is you can still apply mascara or eye products as normal after the first 24 hours. No need for falsies or extensions.